Headquartered in North Vancouver, B.C. 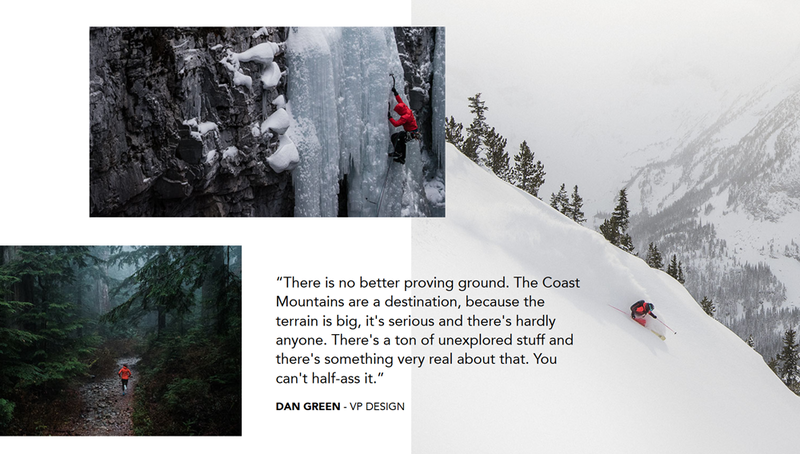 Canada with more than 500 people employed worldwide Arc’Teryx puts out very high-quality, functional, refined product and is one of the best looking brands in the Outdoor industry. Originally named Rock Solid by founder Dave Lane and later named Arc’Teryx by co-founder Jeremy Guard, the company’s first product was a climbing harness. Arc’Teryx line expanded over time to now include climbing gear, packs & bags, footwear, outerwear, and apparel. You can take a deep dive into Arc'Teryx by following this link to the Who We Are section of the company website. It's a great journey and we recommend checking it out. 1. Arc’Teryx was founded in 1989 as Rock Solid, and in 1991 was renamed Arc’Teryx. The company’s first product was the Vapor harness and then a couple years later in 1993 Arc’Teryx launched its first backpack, the Bora. 2. The company headquarters in North Vancouver, BC is its design center is a very hands-on lab where all innovation, product development, and design comes together. Headquarters has more than 200 people across 25 departments. 3. Although Arc'Teryx is known for its simplistic & beautiful design, its products are very time consuming and involved to build – one of the flagship jackets requires 190 operational steps and 4.3 hours to construct. 4. W.L. Gore licensed Gore-Tex to Arc’Teryx before the company had made any outerwear, which is unheard of. That partnership is a pivotal part of the company’s success over the years. 5. Arc’Teryx has dozens of jobs open across the world and presents a world of opportunity to it’s employees.